Chicago Theatre Week, an annual celebration of the rich tradition of theatre-going in Chicago, reached record audiences during the fourth year of the program. Over the span of Chicago Theatre Week, February 11 – 21, 2016, 106 participating organizations sold more than 10,500 total value-priced tickets to 124 different productions. During the fourth annual Chicago Theatre Week, which is presented by the League of Chicago Theatres in partnership with Choose Chicago, visitors and residents had the opportunity to sample the extraordinary range of theatrical offerings throughout Chicagoland, featuring 666 individual performances between February 11 and 21. The Theatre Week ticket offers went on sale January 5, 2016 at ChicagoTheatreWeek.com. The program successfully brought in new theatregoers with an average of 63% of the Theatre Week attendees being new to the theatre they attended. Theatre Week 2016 also saw a record number of visitors from outside Chicago, with 17% of Theatre Week patrons coming from beyond 50 miles of the city, including 40 states, Canada, England, Scotland, and elsewhere. The League of Chicago Theatres also hosted a series of FREE audience engagement events atTheatre Week Central, located in the historic Water Works Building, 163 East Pearson in Chicago. These free, public events were presented as part of Theatre Week to help audiences further engage with Chicago’s extraordinary range of theatrical offerings. Events included two lunchtime Showcases featuring short performances and artist chats; a Staged Reading of Stage Left Theatre’s The Body of An American by Dan O’Brien, directed by Jason A. Fleece; and Playwrights at Work, which allowed passersby to watch 14 playwrights at work potentially creating the next great Chicago play in real time.The League also helped to organize free, public Theatre Week tours of the Belmont Theater District and the Glenwood Avenue Arts District. The League of Chicago Theatres’ 2016 Chicago Theatre Week was supported by Choose Chicago,Sheraton Grand Chicago, dana hotel and spa, and Filini Bar and Restaurant. 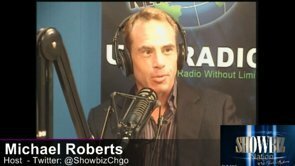 2016 Media Partners included ABC 7 Chicago, Chicago Magazine, Time Out Chicago, Verifone Media, and 93-XRT. 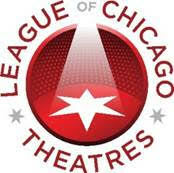 For a comprehensive list of Chicago productions, visit the League of Chicago Theatres website,www.chicagoplays.com. Half-price tickets are available year-round at www.hottix.org. Additional information about Chicago Theatre Week is available at www.chicagotheatreweek.com.